RUNS: A Walk and Run will be set. MELBOURNE Poonce will be present on the CUP: night to collect donations. PS. 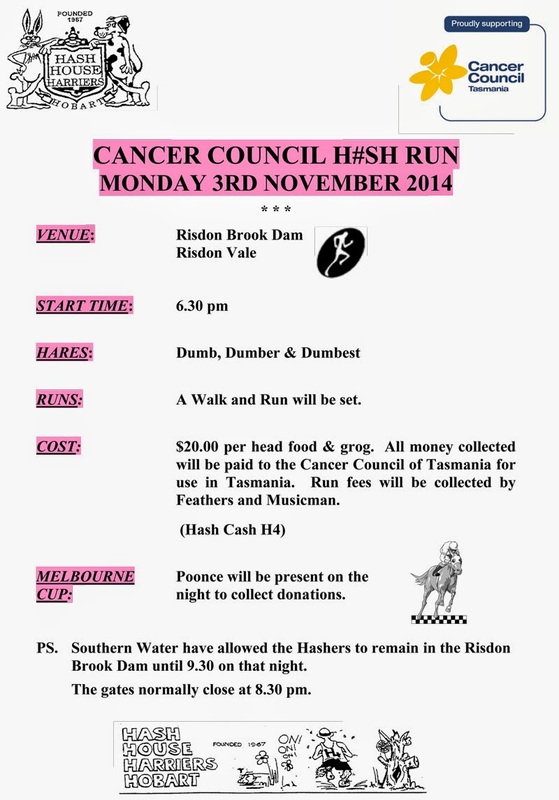 Southern Water have allowed the Hashers to remain in the Risdon Brook Dam until 9.30 on that night. The gates normally close at 8.30 pm.